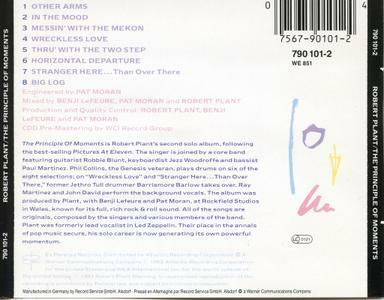 Robert Plant's follow-up to Pictures at Eleven implements much of his debut's style and vocal meandering into a new and more exciting bunch of songs. 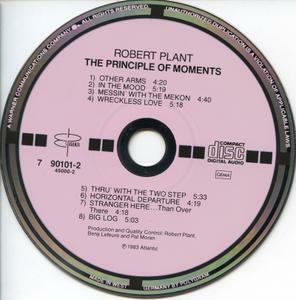 The mysteriousness of "Big Log," the album's first single, reached the Top 20 in the United States and in the U.K., while "In the Mood" is The Principle of Moments' finest offering, proving that Plant could roam freely with his voice and still have it work effectively. 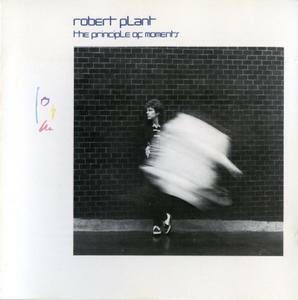 But Plant doesn't stop here, as he gives tracks like "Wreckless Love," "Stranger Here…Than Over There," and "Other Arms" an equal amount of curt abstractness and rock appeal. Because Plant's voice is so compelling in any state, the convolution of his writing tends to take a back seat to his singing in most of his solo work, which is definitely the case in most of the songs here. 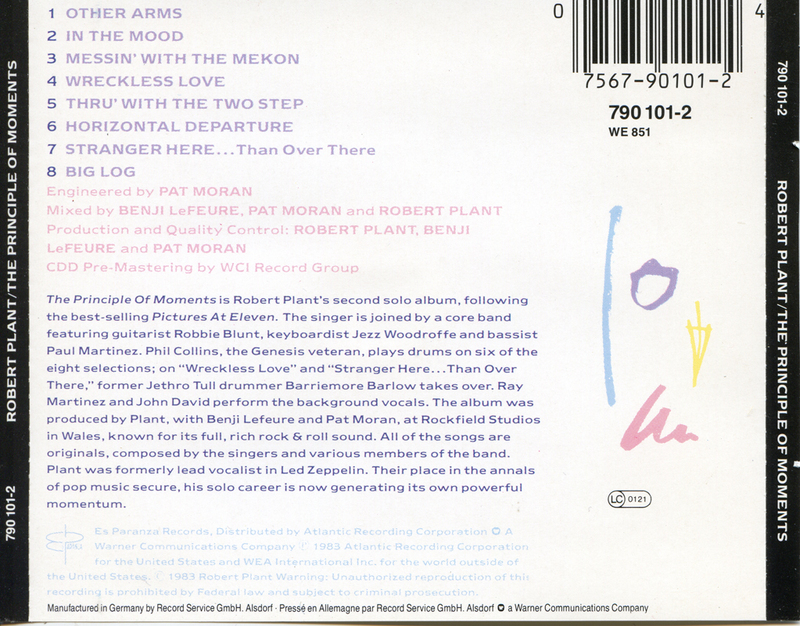 Plant went on tour with the Honeydrippers within the same year of The Principle of Moments' release, adding another facet to his already diverse solo repertoire.